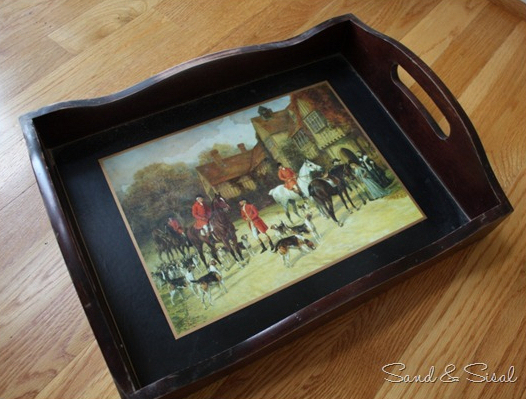 Do you have an old, outdated serving tray stashed away in your kitchen somewhere? If so, pull it out, because Kim at Sand & Sisal will show you how to turn that old serving tray into this stunning sea glass serving tray. 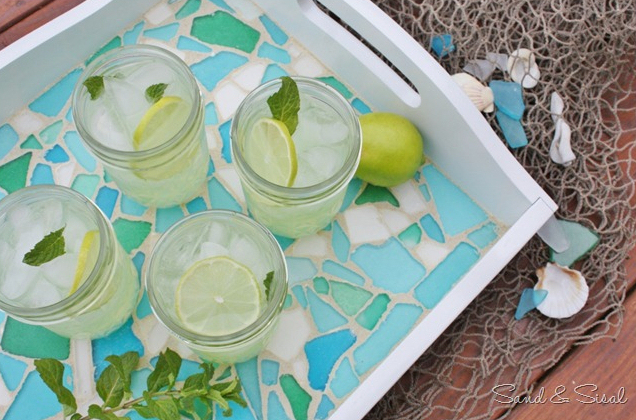 Who wouldn’t be proud to serve their guests drinks on a pretty sea glass serving tray? And the best part…Kim even shares the whole step-by-step process for making your own. 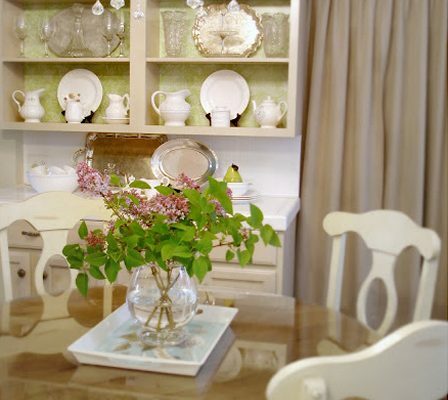 Visit Sand & Sisal for the details. I have a bunch of sea glass I got when I used to work at Pottery Barn. I think I even have a tray. I need to get going. I have a lot on my “to do” list. 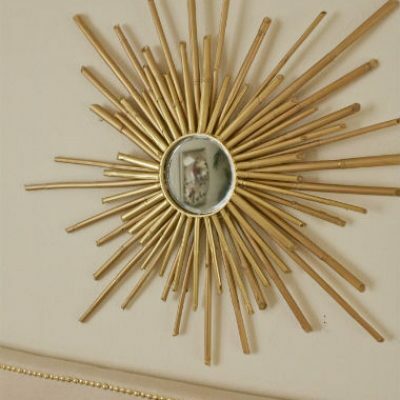 Thank you for finding and sharing this great DIY project. 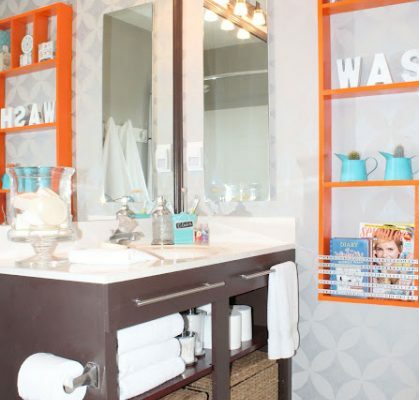 I love the mosaic tile colors and the white paint, it creates a very spa-like/ tropical feel.